Hang it Dang it Quilt Hanger, the fast and easy way to hang your quilt straight and level! The fast and easy way to hang your quilt straight and level! from 21" wide up to 110" wide! 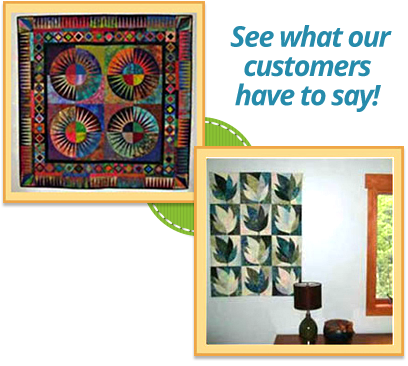 Are you looking for an easy way to display your quilts professionally on a wall? The "hang it dang it" quilt hanger is designed to do just that. One person can hang any size quilt, anywhere, perfectly, all by themselves in about a minute using our patented hanger. 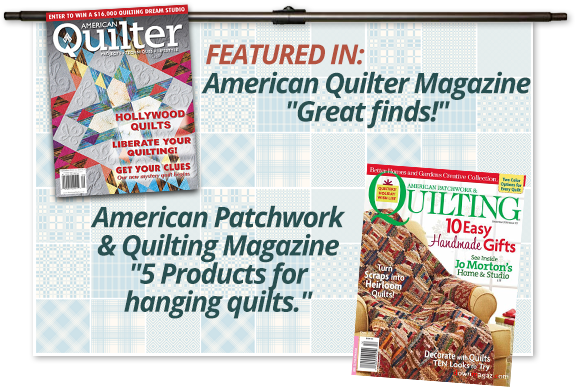 Do you have ugly nail holes all over your walls, but you can't patch them because your other quilts hang there? Say goodbye to that ugly row of nail holes in your wall because the "hang it dang it" quilt hanger will hang your quilt on just one nail in the center. To hang a different quilt in the same spot, simply adjust the hanger to the new quilt and hang it back on the same nail. You will enjoy looking at more of your quilts more often because it's so fast and easy to change them.